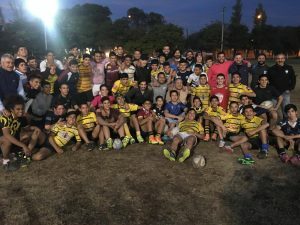 What an experience South America has been, from the first day/session we facilitated in Santiago in Chile, to our final leg in Buenos Aires Argentina, we met different players and coaches from many different backgrounds but all having one thing in common which is their love for rugby. Rugby is an amazing sport. 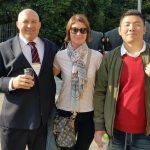 You can jump on a plane, travel to the other side of the world and meet a complete stranger that will take you in and you can talk about rugby the entire time and it’s as if you knew one another for years. 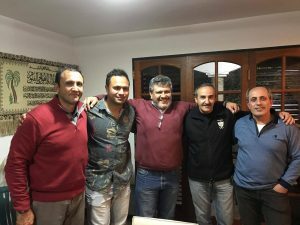 Below are photos from Tony’s family in Catamarca a town in northern Argentina. Tony hosted us the entire day and invited us to his home for dinner with his family and friends, I was very humbled by his generosity and there were many others over the 2 weeks that treated us with the same hospitality. I am truly thankful for their kindness. "Estas son las mejores empanadas de Argentina"
I now jump on the plane home 4 kgs heavier but very, very merry. I now head home to start planning our next moves in this past of the world and tick off the other goals we have in the rest of the sporting world. I can’t wait to come back at the end of this year and keep spreading the Toki love. 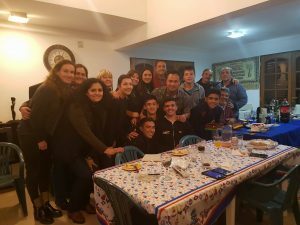 Thank you to everyone in our South American partnership who organised our trip, sorted our schedules, made key contacts for us and treated us with the best hospitality ever – You know who you are! Try this simple body position exercise for front row training. You can develop this exercise even further as the players technique improves and add progressions like try to move the persons head (gently), or moving their binding arm as they hold. This gives more game realistic exercise to try and perform at for at least 10 minutes post training or after a gym session. Stay tuned for more videos, blogs and our new online platform coming soon. Please keep in touch and feel free to share with other players and coaches. 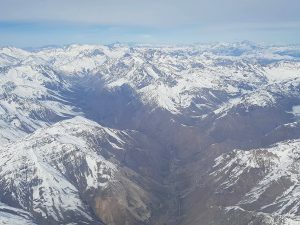 As we left Santiago yesterday we flew over one of the worlds most extraordinary natural borders “The Andes”, which separates Chile and Argentina. It’s amazing to think that the white mountain peaks goes on for kilometres up & down the Chilean & Argentinian border. I think about how blessed I am to have this opportunity to see the world, to meet new people and share our knowledge with people from across the world that are really passionate about the sport of rugby – and I mean seriously passionate, these people grow up following football since birth and to decide to play rugby instead shows how much they love the sport. 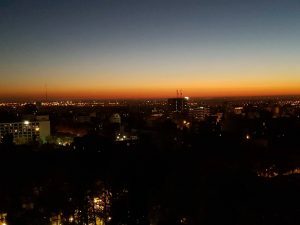 Waking up this morning was a majestic view from our hotel room with the sunrise creating a spectacular contrast of blues, reds, yellows with the dark shadow of the city. Damn I’m lucky. From Mendoza we push onto Tucuman for more rugby clinics with one of the local clubs there. Not much coaching or code talk in this blog, but thought I’d share a few thoughts and images of the beauty that surrounds us right now. It’s been one helluva week here in Chile, I didn’t know what it was going to be like over here with rugby but after this week I’ve learnt that there are some very passionate people here that love the sport and are open to learning as much as possible which is awesome. We have one more day tomorrow here in Chile where we’ll be taking a couple of sessions out south of Santiago, and then we move onto Mendoza, Argentina on Monday. I’m looking forward to meeting more passionate rugby enthusiasts. What to do after life as a professional athlete? It is a question that a lot of professional athletes ponder over and I am no exception. As I started to near the end of my professional rugby career, I looked at what life was going to be like with both fear and excitement. I would ask myself questions like; What will I enjoy doing for the next 30 years of my life? Will my body be able to handle that line of work? Am I bright enough to do that job? Do I have the skills to do that? Will I enjoy sitting at a desk all day? These are just some of the questions that I asked myself and that I continue to ask myself. Ultimately it comes down to what job I could land that suited my skills and experience? I have Bachelor of Tourism Management, speak Te Reo Maori, have a Diploma in Adult Education, a qualified Real Estate Agent, and I’m passionate about my Maori culture. I have also been very fortunate to have worked over ten years in a professional environment that requires you to be committed, focused, competitive, self-confident, disciplined, have drive, time management and a high tolerance for pain. The more I explored work opportunities, the more I knew that I wanted to create something for myself. To have something of my own that I could use my skills and invest the same energy and attention into as I did with my sports. My partnership with Joe Fiu which is TOKI SERVICES is an exciting business that is very suited to my skills and experience. Joe and I both bring something different to the company and complement each other nicely. As we grow you can expect Toki to be at the forefront of sports, event management, tourism, cultural experiences, and education. Throughout my career, I have had the opportunity to travel and play in many different countries. These trips for me have taught me some of the most valuable skills in both rugby and life, and lead to some of my greatest memories. Whether it be the ‘had to be there’ stories I am forever trying to re-tell, or the lifelong friends I have made from each place I have played. These lifelong experiences are what I want Toki Services to create for others. 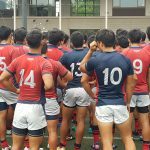 Rugby is such a fantastic game that is enjoyed by many; it continues to grow all across the world and Toki Services is here to help. I consider myself very fortunate to have played at both the professional and amateur level of the game, and it gives me great honour to be able to continue to work within the wider rugby community. Day one done and dusted working in Santiago, Chile and what an amazing experience. With the Andes in the background for both schools we went into today it was a surreal experience having such a picturesque landscape almost a stone’s throw away. First school we popped into this morning was the Grange School, it’s an old colonial school where it’s steeped in tradition and with such a proud history they take their rugby very seriously. We met a friendly NZ face with Hamish Murihead who had taught at Naenae College for 7 years after moving to Wellington, he’s spent the past 18 months here and was great helpiing us coordinate the session and also organising the kids. 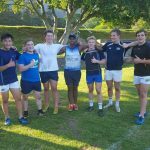 After taking the 1st & 2nd XV we went across town to their arch rivals Santiago College who follow a more “American-ized” school system as opposed to the Grange School. Both colleges hold great prestige here in Chile and the kids & coaches were awesome to work with. Day one would best be summed as, sponges. All of the coaches and kids here are just soaking up everything we do with them, the simplest but most effective drills, advice, and technical skill coaching is welcomed with open arms. The skill level might not be there with New Zealand kids but you definitely can’t fault the work ethic which is refreshing to be involved with. Tomorrow morning we press onto the Mackay School and hopefully we get to see a bit more of Santiago, it’s a beautiful place and very keen to see as much as possible – however if I can eventually fall asleep (it’s 1am here in Santiago) then I’m up early for a run and get me old mate Josh up and burn off all of the fine dining we’ve been doing here thus far. Until next time will blog soon, Peace. 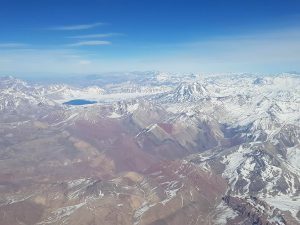 The first blog, the first overseas business trip, the first time in South America. For every company there’s a first for everything from making your first dollar to running into your business’s first road block, and soon we/I’ll be stepping into a whole new world as I head off to Chile and Argentina to run rugby coaching clinics and promote the company in this developing rugby continent. I’m sitting at the airport thinking “why didn’t I learn spanish at school when I had the chance” but then again excitement is kicking in knowing that it’s going to be an awesome experience teaching and sharing ideas with coaches & players where english is a barrier, but we all have one thing in common which is the game of rugby. It’s a global language much like football or basketball. No words needed, just get out there perform the basics of the game and enjoy it. I touch down in Chile in 15 hours then it’s straight to work for our first school visit. I’ll share the journey with you all, wish me luck and stay tuned.